With businesses making the jump to the internet there is an increase of e-commerce stores available. By doing this there are many advantages and disadvantage to know before taking the leap. For those who don't know what an e-commerce store is. An e-commerce store, also known as electronic commerce, is buying and selling goods and services over an electronic network. First, let look at the advantages of having an e-commerce store. This is some of the best features and return you will see from your own store. By far one of the biggest advantages with having an e-commerce store is being open 24 hours a day and 7 days a week. That’s right you can make your website work through all those holidays and weekends. Not to mention your customers can come on their own time schedules. You can reach a wider audience with an e-commerce store. You are now open to any locations nationwide and in some cases worldwide. There is no restriction on where your next location is going to be or what area you should expand to. Everything is available to everyone. With your store navigation broken down into categories and including a search bar. This gives your customers an easy way to find what they are shopping for. By increasing your site's usability. There is no need for your customers to go up and down aisles looking for the right gift. They now tell you what they are looking for and your site will go out and find it. There is talk that an e-commerce store has lower operating costs. During regular business hours, this is not true. It takes a full staff of inbound marketers, accountants, customer service representatives, and fulfillment workers to have your store running efficiently. Where you will save is what we talked about earlier. You get some of that overhead cost back when your website continues to work even if no one is there. If you can lower your overhead cost, you now can lower your prices. This entices your customers to buy more while they feel they have spent less. There are some areas of e-commerce that you need to be aware of. Some people have ideas of "if I had a store online it I would make tons of money". That's not entirely true or false, it just takes a lot of work. With everyone taking their business online, this is also a disadvantage to you. You are going to see more competition in your space. It could be a big box store, you are direction niche competitor. If you find yourself with a lot of competition, you need to focus on how you can do it better. Lower your prices, have faster shipping or train friendly customer service. These things go a long way. One of the most common problems in the customer service department is product quality. This could mean a lot of different things. Product description is incorrect, picture doesn't match, or it is made of poor quality. As a customer, you can’t physically touch or hold the product that you are buying. You have to trust what the business has displayed to you. 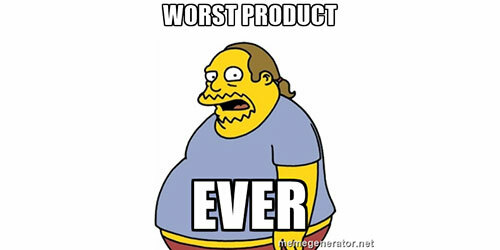 One way to combat this is with product ratings, reviews, and social media. This can help customers get other opinions of the product, to help them make their decision. Shipping cost and time is another problem with fulfilling orders. Businesses are always trying to improve on this. Because people just don't like to wait. Some effect ways to help smooth things over is to offer promotions. Order today and ships today or free shipping coupons. They more you can offer the customer to combat their wait time the better. These two disadvantages go hand and hand, trust and security. With the amount of open source shopping cart applications that are available. Anyone can get an e-commerce store going within a matter of hours. With so many sites that pop up overnight, who can you really trust? This is where building your brand and taking care of your customers can go a long way. Always read the feedback you get from your customers. From emails to social media, always try to respond to everyone. Let them know you are a "real" company. 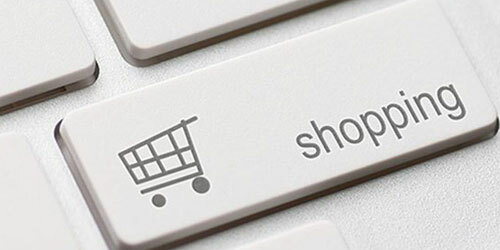 These are just some of the advantages and disadvantages of having an e-commerce store. After weighing in on the two, online stores are a great solution for businesses and for the consumer.